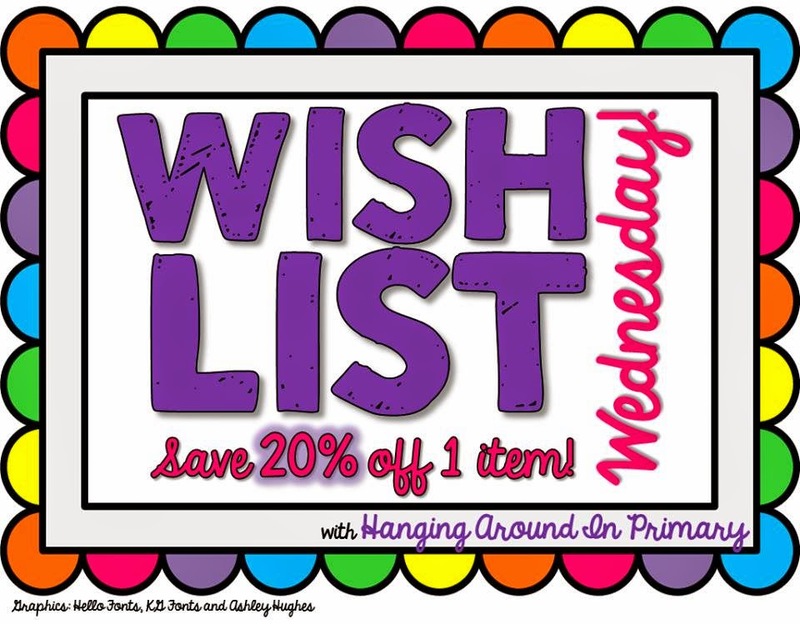 Today, I am linking up with fellow Canadian, Christina Hermer, of Hanging Around in Primary for her weekly linky party, Wish List Wednesday. Just like Christina, I have dozens of products on my Teachers Pay Teachers' wish list. I'm sure you do, too. I just checked my stats and marked one of my most wish listed products 20% off, but you have to head on over to my store to search for it. The only hint I'll give you is that this item includes flash cards, games, and no-prep printable words sorts and word searches. Find it and snag yourself a deal! If you're a TpT seller, who'd like to link up, too, please visit Christina's blog.